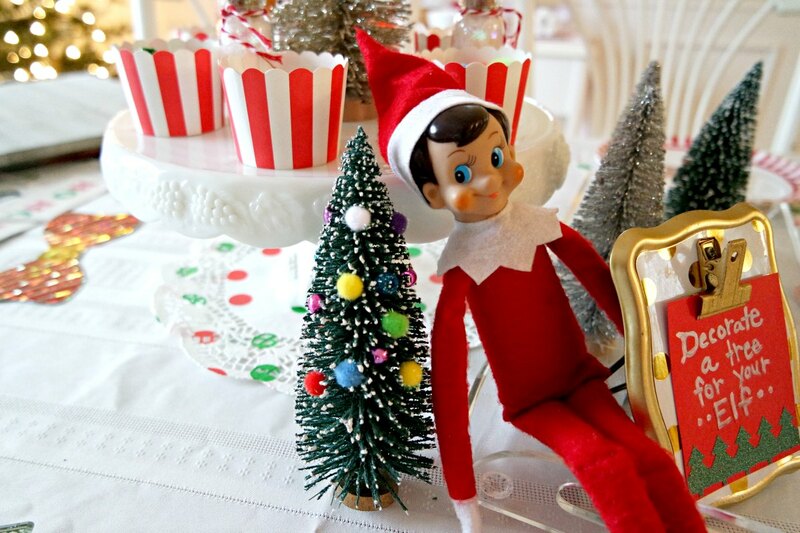 Your kids will LOVE decorating a tree for their Elf on the Shelf. And you will love how SIMPLE this project is. 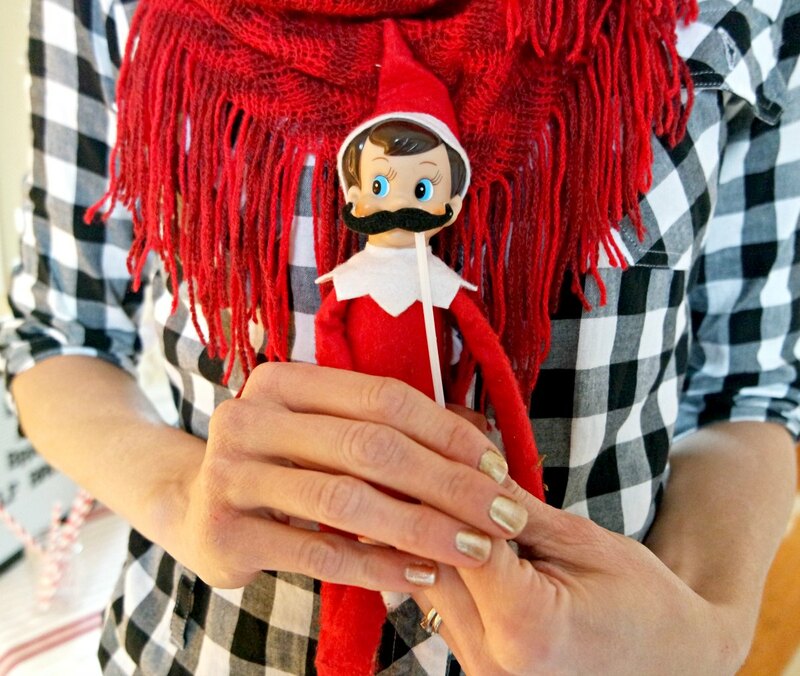 No glue needed. 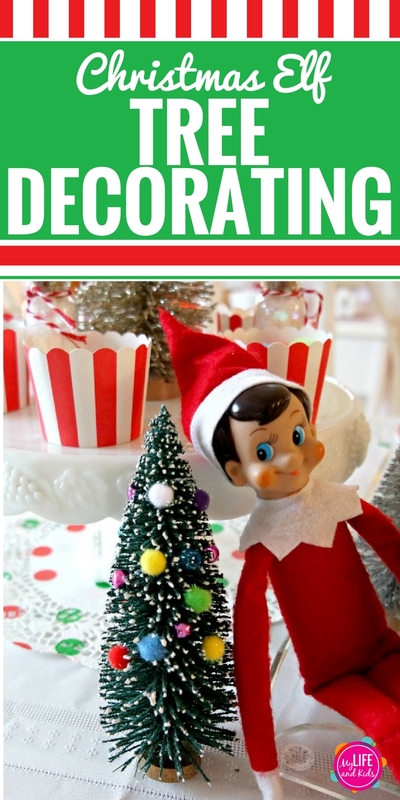 This fun Elf on the Shelf DIY craft is perfect for your next Christmas party for kids. 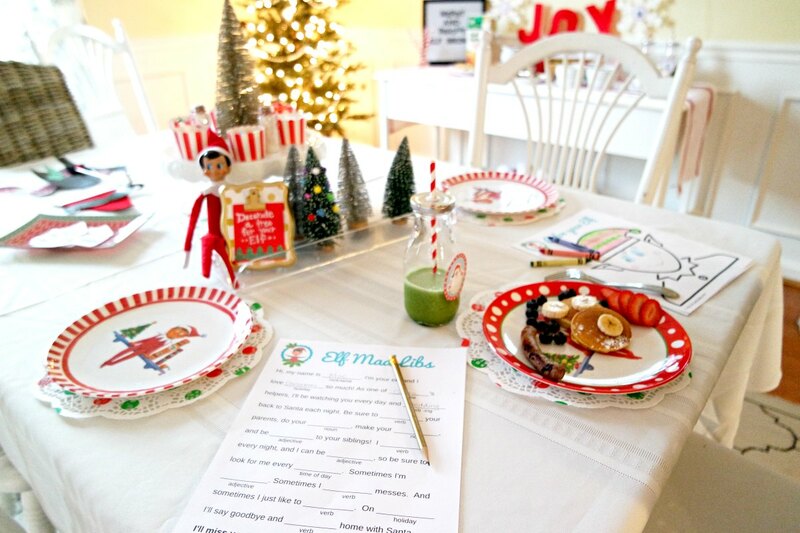 During our recent Christmas Elf Brunch, the kids LOVED decorating a tree for their elf. And I loved how simple it was! 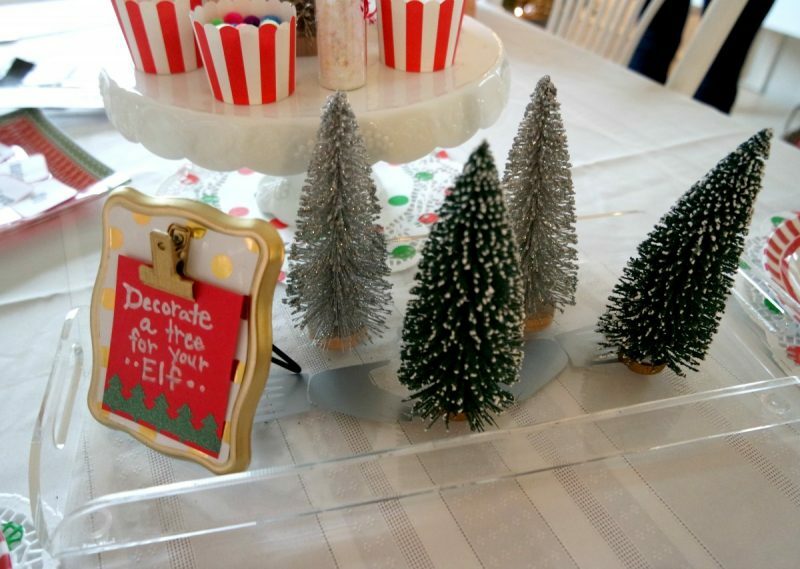 Simply take bottle brush trees, and offer a variety of decorations. 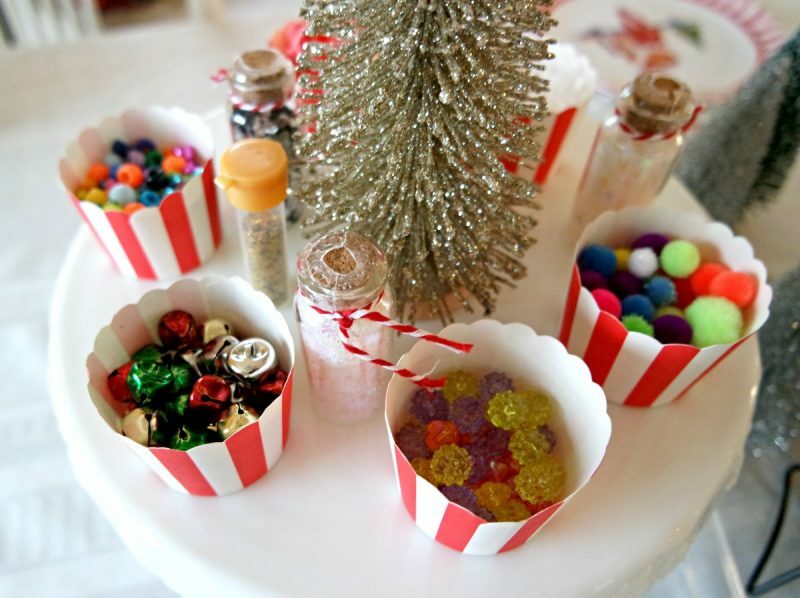 This can include ribbon, pom poms, beads and bells. While you could glue these items onto your tree with a glue gun, we found that everything stayed put really well just by pushing them into the bottle brush tree. 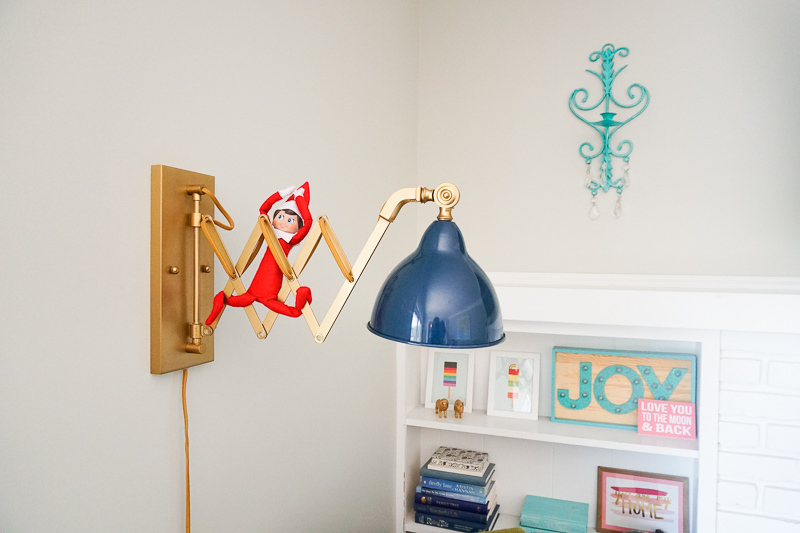 We’re pretty sure the Elf loved his Christmas tree!